It’s not too often that dreams come true. But, in 1989, ours did, when my wife and I became adoptive parents. The joy that our daughter brought into our lives was and remains immense. Our world expanded. Overnight, we became a Mommy and a Daddy. A beautiful little girl depended on us. In our quest to adopt a baby, we learned what we liked and didn’t like about the adoption process. Because of our experience with our own daughter’s adoption I decided to focus my law practice on adoption (independent, agency, relative, second parent, adult, international readoption) and family formation law including surrogacy. Over the past 15 years I have enlarged the practice to handle readoption cases for families who adopt internationally and are required or wish to readopt their child in California. I promised myself that it would make certain that my fees for my work would be reasonable and affordable, tailored to meet my clients’ specific needs, mindful of their budgets, and that my clients would always know that I cared. I vowed to make sure that the measure of my caring for my clients and their goals was manifest in the work I did for them daily. I remember early in my career when a potential client explained to me what he and his wife were seeking in adoption counsel and he stated, “We do not want to have to file bankruptcy in order to adopt.” That comment made quite an impression. How could I help clients adopt while keeping prices low, reasonable and fair? Better yet,m how could we make sure that the clients could exercise control over the cost of their adoption efforts? That mission, to help people make affordable adoption outreach efforts and successfully adopt became my goal and, for the past more than three decades, it has also been my calling. 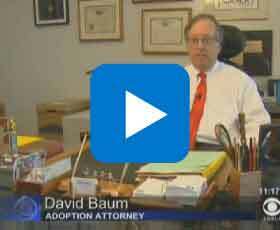 My name is David Baum, and I’m an Adoption Attorney with almost 40 years of experience in family formation law, surrogacy and adoption law (independent, agency, stepparent, second parent, adult adoption and readoption) and my office is in Los Angeles. To date, I’ve successfully helped thousands of families through the adoption and surrogacy process. My offices have formed a lot of families providing personalized service, 24/7 hour accessibility and reasonable pricing. Although my adoption and surrogacy law firm is based in Los Angeles with offices in the San Fernando Valley, we serve families seeking fair priced adoption services that won’t break the bank, throughout the United States. 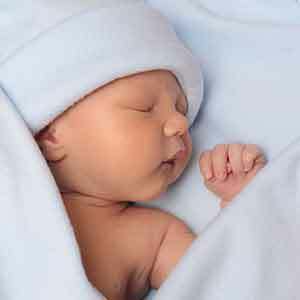 Adoption and surrogacy laws are always undergoing substantial revision. Just when you think that you have your bases covered, new laws are enacted and every stroke of the legislative and judicial pen impacts on every person involved in the process, including adoption law firms, adoption agencies, egg & sperm donation agencies, surrogates and surrogacy agencies, intended parents, birth parents, and adoptive families. Now more than ever, choosing the right adoption attorney is crucial to the success of a private adoption, stepparent adoption, second parent adoption, relative adoption and even international readoption practice. My clients quickly discover that I treat them and their cases as though I am standing in their shoes. That’s because my wife and I have already walked the same path and we understand and never for a moment forget how vulnerable we felt and how worried we were about the plans we were making and what they were going to cost us–emotionally, actually and financially. Both my wife and I wish you success and joy as you make your family forming plan, and build your family through adoption. Whether you would like us to assist you with the adoption of a stepson, a stepdaughter, a member of your extended family or relative, or the paperwork so that you can readopt the child or children you adopt overseas and want to adopt again in the USA or if you are thinking about adopting another adult who has been “like family” to you and now you just want to make it official, these choices you make are all loving choices. It is easy enough for businesses online to promote themselves as adoption specialists who “handle” all kinds of adoptions promising full service adoption legal services; that they are “experts” in adoption law. 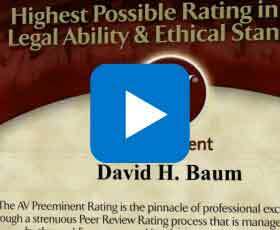 But the truth is that all adoption lawyers and adoption agencies are not the same and many of those “specialists” have no special training, extensive experience, or high ratings among members of the bar in terms of professional competence and ethical standards.. It takes commitment to make an adoption plan and and it requires attention to detail and careful compliance with the laws which often vary from state to state. Adoption is a major legal process, whether it is independent adoption, agency adoption, stepparent adoption, second parent adoption or adult adoption. So it just makes sense to work with the most qualified lawyer when you want to adopt. I am here to assist you with your plans — be they for adoption or surrogacy. Best of all, I can tailor my needs to meet your financial realities, offer you legal services for the work you need a lawyer to help you with (if you want to try to do more of the work on your own as a cost savings measure) and help you avoid paying for a lot of unnecessary “extras.” So if you are seeking a lawyer who you can hire just to prepare the legal paperwork for you, I am happy to help you. If you want a lawyer to guide you through the adoption process from start to finish, I am here for you too. The power is yours to select which options work best for you. Please look further through this site to learn about my expertise, training, and compassion as an adoption and family formation lawyer and also as an adoptive parent. 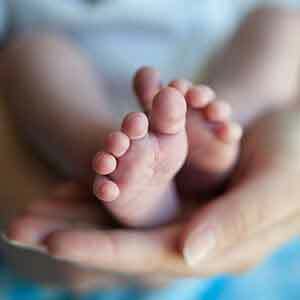 I have been working in this field for close to 40 years providing top quality “tailored to your needs” adoption and surrogacy legal services. I hope you’ll give me a call. If I can answer any questions for you, I’m happy to do so. I’ll be glad to talk with you. When you decide to schedule an office visit, there is a modest fee for the initial office consultation, but it’s much lower than most family formation lawyers charge to answer your questions and meet with you in person. I look forward to speaking with you.